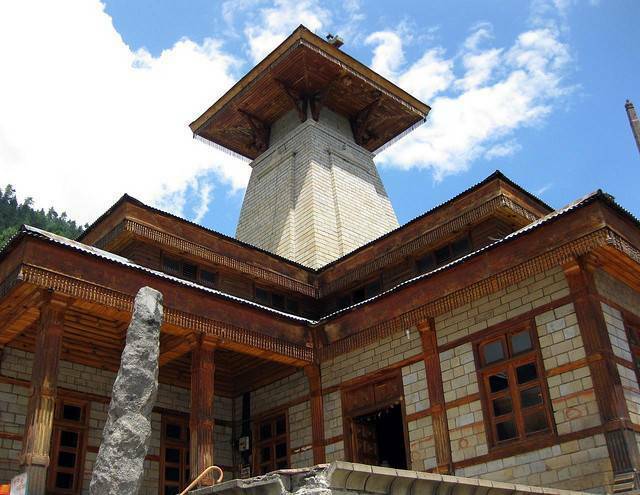 The Manu temple is located in Old Manali, just 3 km away from Main Bazaar. This is the one and only temple consecrated to Manu, the Law-giver of ancient India. People here believe that Manu is the sole creator of Human race on the Universe. There is a local folklore which states that Manu has landed in Manali after the flood which had worse effect on Manali. Also according to mythology, Manu is the seventh incarnation of Sage, as he is believed to save four Vedas and Sages from debacle during flood. The particular stretch, where there is greasy pebble sandstone, should be covered by foot to reach the main temple.